Dr. Bellant graduated from the Rocky Vista University in 2012. 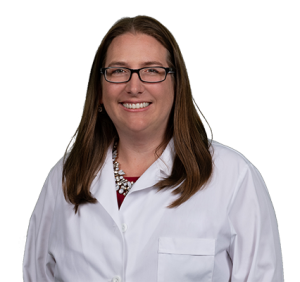 Dr. Bellant earned her doctor of osteopathic medicine degree from Rocky Vista University College of Osteopathic Medicine in Colorado. She then completed her family medicine residency at St. Petersburg General Hospital. Dr. Bellant is a member of the Florida Osteopathic Medical Society, American Osteopathic Association, American College of Osteopathic Family Physicians and the American Academy of Family Physicians. She works in Brooksville, FL and specializes in Family Medicine. Dr. Bellant is affiliated with Bayfront Health Brooksville, Oak Hill Hospital and Bayfront Health Spring Hill. The overall average patient rating of Dr. Audrey M Bellant is Good. Dr. Audrey M Bellant has been rated by 3 patients. From those 3 patients 1 of those left a comment along with their rating. The overall rating for Dr. Audrey M Bellant is 3.3 of 5.0 stars. I've been seeing Dr. Bellant now for over two years now. She's very nice, kind & takes her time in listening to my concerns. The staff & nurses are also very nice & friendly. Dr. Audrey M Bellant is similar to the following 4 Doctors near Seminole, FL. Have you had a recent visit with Dr. Audrey M Bellant? Select a star to let us know how it was.